At the Shine School of Music, we hand pick each of our teachers. 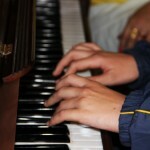 Chosen for their unique abilities to impart the love of music in a structured learning environment. Let our teachers guide you in your musical journey! 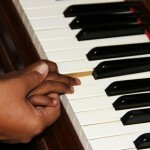 Each of our teachers are specialized in various instruments and have many years of knowledge and training. They are well prepared to instruct learners, to train students for exams, public performance and to help learners become talented musicians in their own right. Students will benefit from one-on-one classes with our teachers, who are dedicated to crafting personal and thought out lessons suitable for their specific student’s requirements. Prof. Strahinja Sajin teaches Guitar, Piano, Keyboard, Bass Guitar, Music Theory, as well as Saxophone, Clarinet, and Accordion at the Shine School of Music. A true master of the arts, Prof Sajin is the original founder of Shine Music School in South Africa, Germany and Serbia. Today he continues teaching in South Africa, and at the Shine School of Music in Barcelona Spain, with his son Milos Sajin. When this truly accomplished musician visits the Barcelona school he brings with him not only his ample arsenal of skills of but five decades of experience in teaching, performing, composing and music publishing. 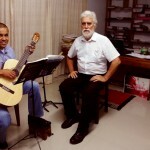 Professor Sajin was one of the principal motivators of the proliferation and development of classical guitar throughout former Yugoslavia during the second half of the twentieth century. These days, Prof Sajin teaches a wide array of instruments with and spends his time sharing his profound knowledge and experience between the Shine Music School in Johannesburg, South Africa, and the Shine School of Music in Barcelona, Spain. 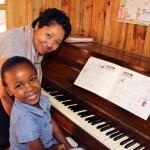 Kristina has been a much loved teacher at the shine school of music for many years. She studied at the Bulgarian conservatory in Sofia with Prof Georgy Cordov and has been professionally teaching for over 15 years. 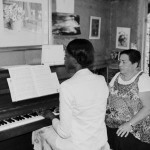 She specializes in singing training and piano for which she has won a myriad of prizes. 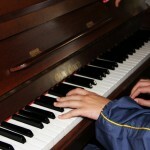 She is a skilled exam coach and has prepared many students to present their music exams. She performs regularly in various concerts and loves to see her students enjoying music. 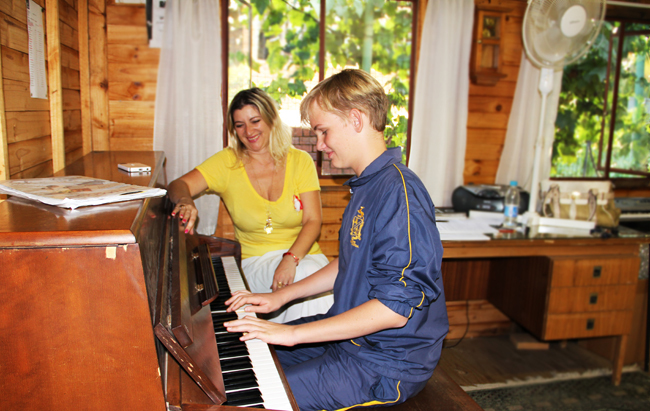 Tina studied music in Russia for 16 years, completing her studies at a music conservatory in Georgia with Manana Neldze. 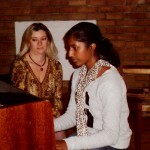 She has been professionally teaching for 25 years, where she specializes in classical piano. 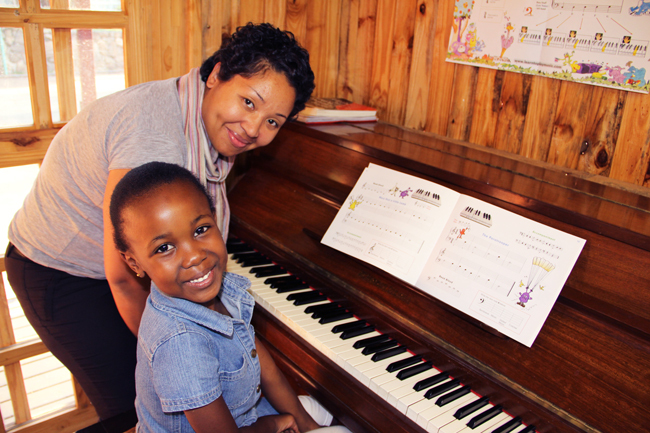 She has been a valued teacher at the Shine school of music for many years where she instructs students piano and prepares learners for exams. Tina has a passion for teaching and enjoys imparting her many years of experience with students. Irene graduated from the Ippolitov Ivanov Music institute in 1989, specializing in piano, music theory and the history of music. 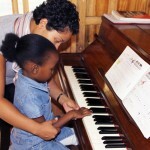 She has 15 years of skilled teaching experience and is qualified to coach students through piano exams. In 1997 she performed an original piano piece and won an award at the Moscow Music Festival. She loves music and enjoys sharing her musical inspiration with students. 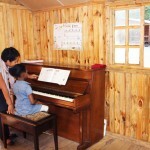 Angela studied music in Kirgistan, and has been teaching for 10 years specializing in piano and singing. She is very involved in her churches musical group and a prolific performer. She shares her love of music and inspiration through teaching. Dimitar studied violin with the Royal school of music. 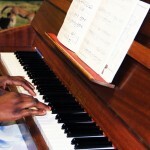 He performed with the Johannesburg youth orchestra for 8 years And has 4 years of teaching experience. 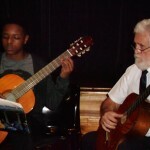 He enjoys teaching and shares his love of music and professional training with Shine’s Beginner students. Rene has been teaching music for almost 2 years. 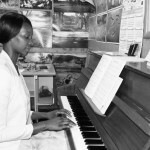 After completing studies at the University of Johannesburg and ABRSM (with distinction) Rene now shares her love of music with students at the Shine school of music in Johannesburg. 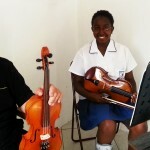 Rene offers classes in violin and assists learners with practical and music theory exams. She loves to see the progression of students as they improve, from learning how to hold the instrument all the way through to mastering a complicated piece. Mykel has over 10 years of music experience. He has been teaching for 3 years and specializes in Musical improvisation, contemporary and bass guitar. He studied at the Campus of Performing Arts in Johannesburg under the tutelage of Jason Green, where he was awarded several certificates of excellence. Mykel has a passion for classical guitar and performs as part of the band “Clockwork Surrender”. 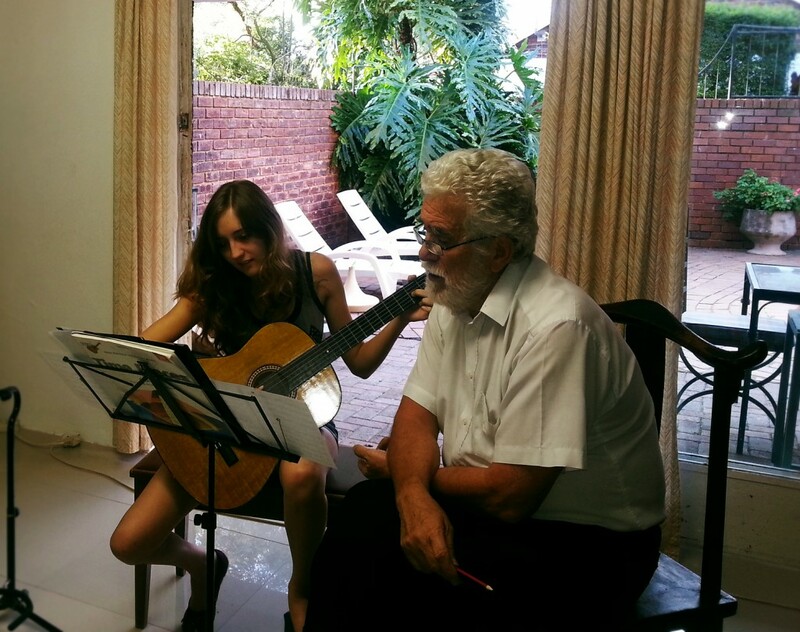 Simon began his guitar studies with the Professor right here at the Shine school of music. He went on to complete his training with the royal school of music and even traveled to Spain to further his guitar skills. 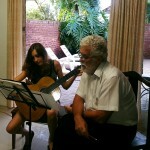 He has been part of our staff for one year, and teaches beginner guitar students. 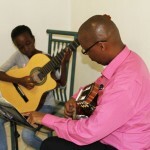 He has a passion for music and enjoys sharing his knowledge with learners.